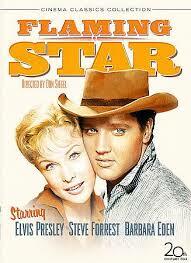 I first heard Flaming Star, the title tune for Elvis’s 1960 Western flick, sometime in March 1961. Once a week, on Thursdays I think, KNEW, Spokane’s Top 40 station at the time, ran a “Battle of the New Sounds” segment. The DJ would play three or four recently released records, and listeners were invited to call in and vote for their favorite. One week Flaming Star was one of the “New Sounds” in the competition. Having just turned 12 years old, I was not yet an Elvis fan. (I wouldn’t experience that personal epiphany until a year and a half later.) So that particular evening I was free to assess Presley’s new tune with an unbiased ear. It sounded pretty bland to me, especially considering it followed on the heels of four Elvis blockbuster hit singles—Stuck on You, It’s Now or Never, Are You Lonesome Tonight? and Surrender. It had a steady, ordinary rhythm. Nothing distinctive about it—no passion, no big-voice finish. When the DJ declared it the week’s top “New Sound,” according to the listener poll, I thought, “C’mon. 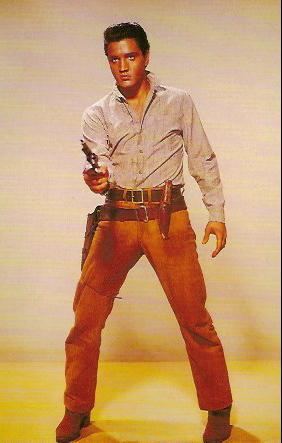 That cowboy song?” Still, even at that young age, I understood the power of Elvis’s name. He could have recorded Mary Had a Little Lamb and it would have broken into the Top 10. As it turns out, Presley fans were lucky that Flaming Star made it onto vinyl at all back in 1961. Elvis initially recorded the title song for his sixth movie on August 8, 1960, at Radio Recorders in Hollywood. 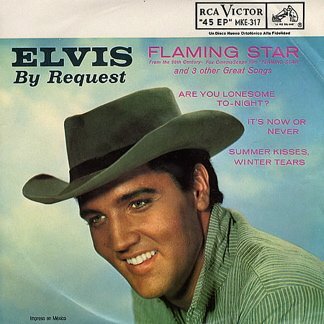 When 20th Century Fox changed the movie’s name from Black Star to Flaming Star, Elvis had to return to Radio Recorders on October 7, 1960, to rerecord the title tune with the new title. Certainly Fox hoped that RCA would release the song in some record format to help promote the film, which was due out during the holiday season later that year. However, RCA saw no commercial value in releasing Flaming Star at that time. In late 1960 Are You Lonesome Tonight? sat atop the Billboard “Hot 100” and his soundtrack LP G.I. Blues was riding high on the album chart. Throwing a bland tune like Flaming Star out on the market could only complicate things. 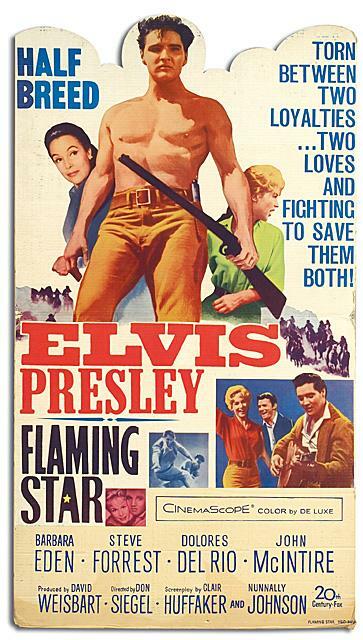 So, when Fox released Flaming Star just before Christmas 1960, Elvis fans first heard the title song from their theater seats. But soon after the film opened, a handful of U.S. radio stations began playing the unreleased Flaming Star recording over the air. It turned out that a DJ had recorded the song on a portable tape recorder in a Denver theater, transferred the recording to vinyl disc, and then broadcast it on his radio station. The “soundtrack bootleg” recording was soon playing on stations in Los Angeles and Pittsburgh. In January 1961, both Billboard and Variety ran articles on the unauthorized use of the song. 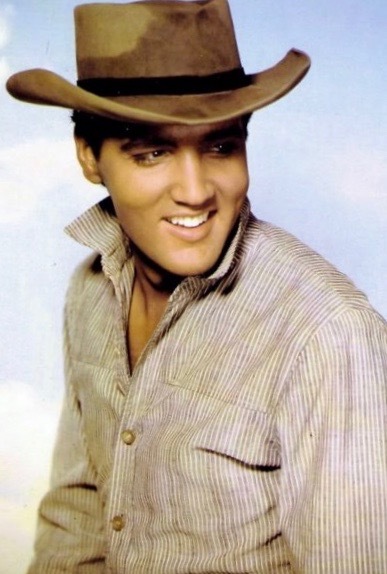 According to Billboard, “executives of the picture firm, the publishing firms and Colonel Parker were startled when they heard that three stations had played tracks from the film.” They had learned about it when radio station managers around the country began calling RCA distributors asking for the “new” Presley record that competing stations were playing. Studio and publishing representatives gathered in New York to come up with a strategy to deal with the Flaming Star bootleg. The publishers sent a notice all radio stations prohibiting use of the song on the air. Fox notified all theaters showing the movie that taping sound from the film was illegal. Exhibitors were further told to call any radio station they heard playing any of the tunes from the flick and inform them of the situation. Billboard was right. The bootleg version convinced RCA that there was a market for Flaming Star. However, the format and timing of the song’s release caused problems for RCA. Issuing it as a single was not an option. Are You Lonesome Tonight? was still near the top of the charts in January, and Surrender was already in the pipeline for a February single release. It was considered vinyl suicide to have two singles by the same artist competing with each other for chart space. Not enough music had been recorded for Flaming Star to fill an LP. That left the “extended play” format as the only remaining option. 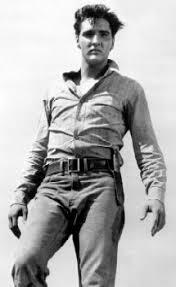 Elvis had cut four songs for the movie, but two of them, A Cane and a High Starched Collar and Britches, were hokey numbers that Elvis insisted never be released (and they weren’t until after his death). That left only Summer Kisses, Winter Tears available to package with the title tune. But since the single option was off the table, two more songs had to be included to make it an “extended play.” RCA threw in Elvis’s two recent single hits, It’s Now or Never and Are You Lonesome Tonight? and made the package available in its “Compact 33 Double” format in February 1961. 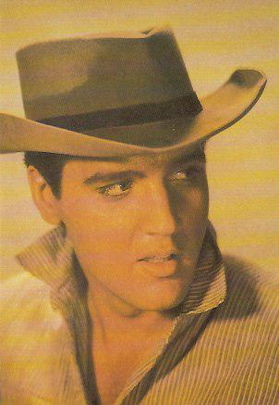 The EP’s title, Elvis By Request, ironically seemed to acknowledge that the earlier bootleg version had created the demand that led to the RCA release. Another irony of RCA’s Flaming Star release is that the same DJs who flooded the company with requests for the song, ignored it for weeks after they got their wish. Flaming Star got few plays while Surrender was riding atop the “Hot 100” in February and March 1961. It was only after that disc began moving down the chart, that Flaming Star started to get some spins on the airways. On April 17, 1961, the tune broke into the “Hot 100” at #85. Four weeks later, on May 15, Flaming Star reached its chart peak at #14. That same week Elvis’s next single, I Feel So Bad, entered the chart at #43. 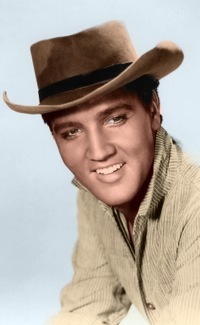 Radio stations switched over to the new Presley tune, and Flaming Star quickly slid off the “Hot 100” after seven weeks on the chart. In the end, radio stations used it merely as a “fix” for Elvis fans in the time void between two Presley singles. "Soon after the film opened, a handful of U.S. radio stations began playing the unreleased Flaming Star recording over the air. It turned out that a DJ had recorded the song on a portable tape recorder in a Denver theater."